Currently acting as co-counsel in fen-phen diet drug litigation involving over 500 clients. Litigation is ongoing. In the case, known as the Crematory Case, the owner was under investigation by the State’s Attorney General’s office for a felony. This case also involved a Temporary Restraining Order (TRO) filed without notice to the owner’s original attorney. Mr. Coxwell was hired to direct the defense and assist with the TRO situation. Lead counsel in consumer litigation against Fidelity Financial Services, now known as Wells Fargo, involving 574 clients. Caldwell v. American Home Products, 210 F.Supp.2d 809 (S.D.Miss. 2002). Diet Drug litigation. Lead counsel in consumer litigation against First Family, which resulted in favorable settlement on behalf of over 1,000 clients. In addition to a monetary settlement, clients had debt forgiven. Beck v. City of Jackson, Mississippi, No. 3:97cv22BN, which resulted in a $2.1 million judgment. Robinson v. Form Motor Corporation: Truck Rollover case. Verdict $144 million. 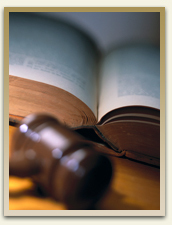 The criminal defense firm of Coxwell & Associates is experienced in large scale and single plaintiff litigation. Our experience with criminal defense, personal injury and professional malpractice claims in Jackson, Mississippi and elsewhere has helped build our fine reputation. Take a moment to browse some previous Coxwell & Associates criminal, civil, malpractice, and personal injury cases in Jackson, Mississippi and from across the country. 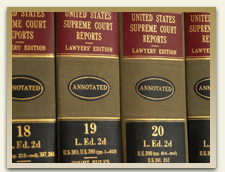 Westlaw is a national company that provides services to the legal community and public. It collects and publishes legal decisions from trial courts, appellate courts and administrative bodies and published these decisions. West Law also allows the legal profession to perform legal research, as well as research in to many other areas connects with the law.